Every year I have great intentions to spring clean thoroughly and always start BIG by donning my overalls and heading up to the loft to once and for all organize 'who knows what' that lives up there. It's always the same, though: two hours later I end up exhausted, unmotivated and bored and then simply repack the boxes and give up and it happens, again and again, every year! Staying organized is an ongoing effort, but it is one that is worth it. Getting and staying organized at home has many benefits including more space for living and doing the things you enjoy, time saved in hunting for lost items and less money spent on replacing items you can't find amongst the clutter. It can even have health benefits, namely, cutting down on stress and anxiety. 1) Purge your filing cabinets. Although we are moving increasingly toward a paperless world, there are still many paper items that must be retained. Most homes have some filing cabinet or system, but homeowners don't always think to go through and cull them until they're so full it's impossible to jam in one more piece of paper. Make a point to go through files every spring and get rid of any paper items you no longer need to keep. The most popular outdated items found in filing cabinets include warranties for products you no longer own, income tax information and old receipts that you are no longer required by law to keep (around six years, depending on what part of the world you live in) and insurance policies that aren't current. 2) Cull children's closets and drawers. Children outgrow clothing quickly. Even if you're good at setting aside their outgrown clothing throughout the year, it's still a good idea to go through your kids' drawers and closets once each year and taking out outgrown and otherwise not worn clothing. 3) Clean your refrigerator. You probably spot-clean all year 'round, but a top-to-bottom cleaning once each year keeps it in tip-top working order. Make sure you clean the back too. This means physically pulling it out, away from the wall. And removing dust build-up which can cause your refrigerator to break down if left for too long. 4) Organize your garage. Clutter tends to accumulate in the garage in many homes. Often this is where the clutter from inside the house ends up, too. Take an afternoon to put things away in their proper places and get rid of things you don't need anymore. 5) Organize other oft-neglected places. This includes outbuildings, like storage sheds, or in-home storage areas, like space under your stairs, where clutter tends to accumulate. Going through these spaces once each year ensures that unneeded items don't build up and that things you do need to keep get put away in their proper places. 1. Start Small - rather than clearing out a whole garage or loft (in my case) it is best to choose something that will take minutes to organize - a kitchen pin board for example. Its amazing how inspired you feel when you see the results of such a simple job. 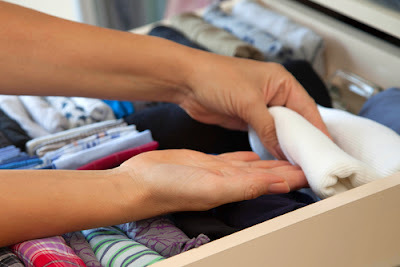 Then move onto small drawers such as the cutlery drawer or sock drawer. Before you know it, you will feel like superwoman and will have tackled that overflowing wardrobe or bursting toy box. 2. One Room At A Time - it is important to stay focused when spring cleaning especially when every room needs attention. So start at the top, in a bedroom maybe, and make sure you finish all the cleaning before moving onto the next room. This way, you will stay focused rather then madly dashing like a crazy multi-tasking female from one room to the next mop and duster in hand! 3. Declutter - this is great for the mind as it's impossible to feel or be organized when surrounded by lots of useless stuff and hard to properly clean if your surfaces and cupboards are full of unnecessary clutter. Donate any clothes that you haven't worn in two years to charity (yes, even those you have promised to slim back into since 1996), recycle old invitations and those endless flyers you have never used, throw away any out-of-date herb and spice jars (they are tasteless anyway) and clean out those mouldy jam jars that are cluttering up the fridge - maybe you can use the jars for next year's marmalade?! For items, you need to keep such as takeaway menus and future invitations there are many fun storage options such as our Heart Shaped Card Holder or Takeaway Menu Organiser. Once the clutter is cleared, cleaning is so much easier and quicker. 4. Eco-Friendly Tips - to stop your clean home smelling like a chemically cleaned hospital here are some eco-friendly, chemical-free cleaning ideas. To get rid of window dirt, spray a mix of 1 teaspoon of washing up liquid, a teacup of white vinegar and 2 teacups of warm water onto the glass and wipe off. Bicarbonate of soda mixed to a paste with water is also a magic ingredient for cleaning ovens. 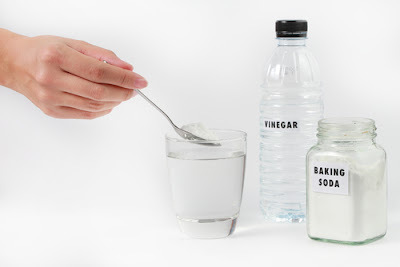 A few drops of vanilla essence on a cotton cloth placed in the fridge can get rid of musty old cheese smells while baking soda is fabulous for cleaning stainless steel sinks. 5. Don't Forget The Garden - Spring cleaning shouldn't stop at the back door so if your garden is still looking bedraggled after months of Jack Frost, dig out any dead foliage and replant ready-bloomed seedlings for some early spring colour, give garden furniture a new coat of varnish and scrub up the patio to uncover the original stone colour. 6. Get Some Help - we all live busy lives and us modern-day women have limited time (or inclination) to clean, so I will be sending my duvets and curtains to the dry cleaners and will hire a professional carpet cleaner to zap all my floors - it is amazing how carpets are transformed and will look as good as new. 7.The fridge - is potentially one of the most disgusting parts of the home that needs a thorough cleaning. Food has a tendency to leak, spill and stain, which leaves a gross film on the shelving, as well as an unpleasant smell throughout the entire fridge. Many times foods kept at the back of the fridge get forgotten about, and end up rotting before anyone even notices it's there. 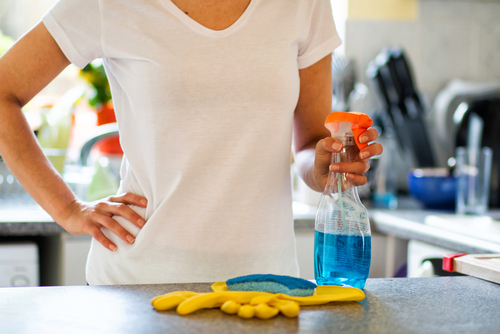 What you really should do during your spring cleaning escapade it to remove everything, discard what needs to be discarded, and give your fridge a good deep cleaning. After the fridge has been sanitized, store your food items in an orderly manner. 8.Give Your Carpeting a Deep Cleaning- Vacuuming is done on a regular basis, but a thorough deep cleaning is essential once in a while to ensure that all deeply embedded grime and grease are removed from the carpeting. Any bacteria lingering within the fibers of the carpeting can become airborne when people walk on it. This can potentially cause allergies or even respiratory reactions. Keep your carpets clean with a deep cleaning occasionally.